1. House off Maxwell Road, where Ellen Aroa (nee Soper), wife of Robert Aroa, lived. 4. 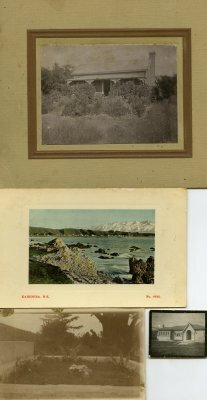 Postcard of Kaikoura coast.